• If it brings you joy, keep it. If it doesn’t, get rid of it. • Respect your belongings – if your clothes had feelings, would they want to be squashed in the back of a closet? 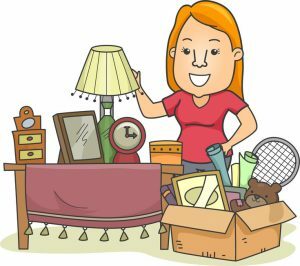 • Don’t get nostalgic when you go through old belongings. Put your blinders on and focus on the category at hand. • Don’t listen to music or get distracted with a phone call. Take a category (ie: clothes) and place it into a pile. Purge the items that don’t speak to the heart. • Marie recommends vertically folding clothing into dressers after you’ve discarded your rejects. • Fall in love with your closet. Wear clothes that you’re excited about and feel great in. Marie’s approach is supposed to encourage mindfulness and introspective thinking. The next time you have the urge to purge, consider the KonMari Method of doing things. For other tips, or to find your next rental space, visit our website at https://www.panadew.ca/available-rentals or check out our Facebook page for available rentals.